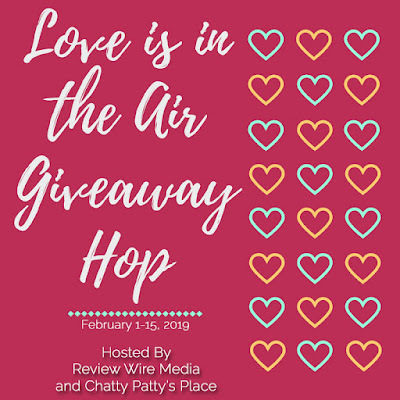 #Love is in the Air #Giveaway #Hop!! | Stacking My Book Shelves! 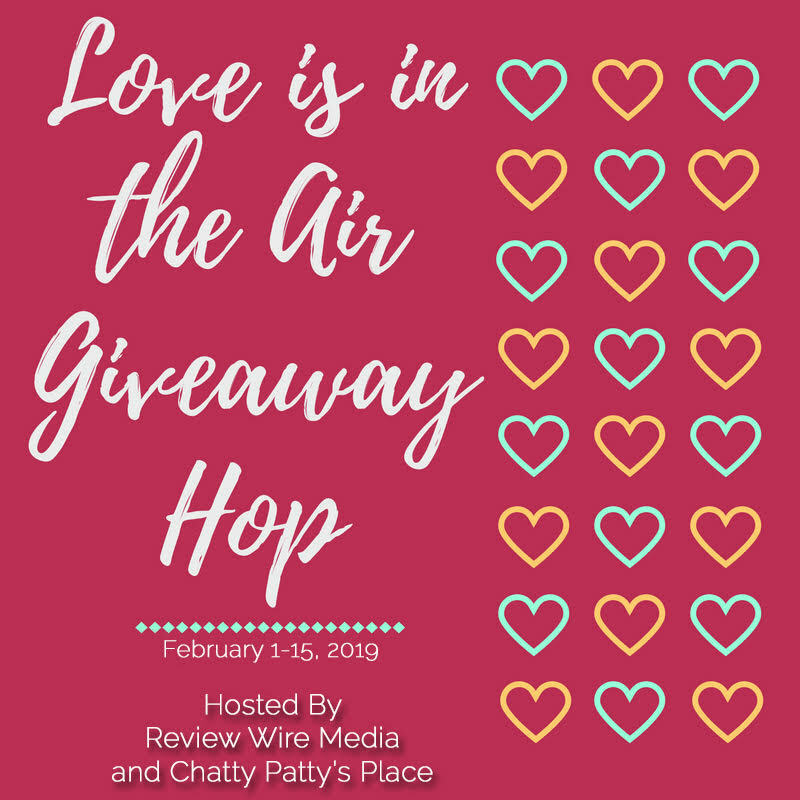 #Love is in the Air #Giveaway #Hop!! Thank you to Review Wire Media and Chatty Patty's Place for Hosting this hop! I guess but if you don't celebrate that is totally cool too. It means SPRING is coming and I can't wait! For this giveaway, I am offering a $20 eGift Card to Amazon! 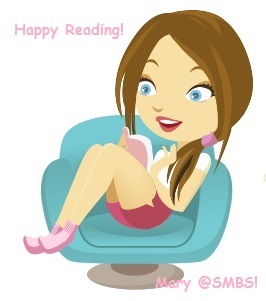 Don't forget to hop along to the other blogs participating! Good Luck! I have none as of this moment. Nope, no romantic plans ever. I haven't made or broken any new habits. I am planning a romantic dinner for Valentine's Day. i am trying to get in the habit of exercising but am still struggling. at the moment we do not really have any fantastic plans but we will spend Valentine's Day together. I am trying to use less single-use plastics this year. Yes, my husband I will go out to dinner for a date night. I have no romantic plans. My new habit is intermittent fasting. It takes some getting used to but I like it. No, I have none. haha! Same old me. I haven't made any new habits. I don't have any plans for this month. Maybe hubby will surprise me. It's been decades since I've had romantic plans. I have plans to spend more time with my mom. Shes been really sick. My husbands birthday is also in February and we're planning on going out to dinner to celebrate both his Birthday and Valentine's day together. No romantic plans for this month. No romantic plans for February. I have not made or broken any new habits! We have no romantic plans. I'm still the same but I would love to start eating healthier. No newly made or broken habits. My husband and I try to be romantic every day-no special plans so far! I am planning a romantic dinner for Valentine's Day with hubby. Looking forward to celebrating with hubby. His surprise to me, ha! My husband and I will probably just go out to eat on Valentine's Day. I wanted to exercise more but we are moving in a few days and I just haven't done it yet! After we get moved I will exercise more though. I'm working on eating healthier through limiting junk food and eating more vegetables. I don't have any big plans. Spring is just around the corner so I am looking forward to warmer weather. And the after Valentine's Day sales are awesome. Thanks for the giveaway. We do not have anything romantic planned. A new habit I'd like to start is going to bed earlier. I've always been a night owl but I need more sleep!! We'll be going out to dinner. No specific habits in mind, but I do have some projects I want to tackle. I don't have any romantic plans at the moment! No romantic plans. We don't really celebrate in a special way for Valentine's Day. My new habit was supposed to be cooking a new recipe every week. I did it for 2 weeks and need to get back to it. I am having dinner for Valentine's Day with my husband and the kids. We also get them some great chocolates too. Saving more and I'm still doing pretty good with it. No romantic plans this month for us. I am eating more vegetables in the new year. So far, so good! We are going to have a romantic - and delicious - lobster dinner on Valentine's Day. I haven't made/broken any new habits. I'm just trying to make healthier choices. No, I don't have any romantic plans. My wife and I had our first date on Valentine's Day 1986. She has been my Valentine for 33 years! We do have a wedding in our family this month so that is pretty romantic. No romantic plans this month. We planned a nice dinner out. I don't have any romantic plans for the month. No romantic plans for me.